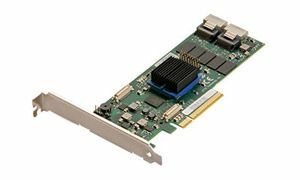 6G, x8 PCIe 2.0 interface, 2xSFF-8087 internal connectors, supports RAID 0, 1, 4, 5, 6, 10, 40, 50, 60 and dvraid. 512mb cache. Windows and Mac driver support. 3 year warranty.